This morning, Kamil Pachalko from Southend in Transition was interviewed by Dave Monk at BBC Essex about the Southend community fruit map. Dave Monk: I was speaking earlier this week about my favourite blackberry bush, we went blackberrying earlier this week and it was really good, I think we got around 6lbs of blackberries all off virtually the same bush. Now am I going to tell you where you can get them? No I’m not. Luckily not everybody is as nasty as me, because now there is a Southend fruit map. So how do you get hold of this, what’s it all about? Kamil Pachalko is from Southend in Transition. Kamil good morning! DM: What is this then? What is Southend in Transition to start with? KP: It is an organisation (there are over 300 around the world) which look at local solutions to issues such as energy dependence and climate change, and just really encouraging people to be positive and look for solutions around local food, local energy, local buildings, creating local jobs etc. So instead of ‘doom and gloom’ we think about solutions, and the fruit map is one of them really. DM: And what does it show? KP: It shows where people who know of fruit trees on public land, and where garden owners who have a fruit tree are saying ‘this is overwhelming me its producing countless kilograms of apples can someone do something with this’. People can get in touch and tell us about their fruit trees so we can get together some volunteers can go out and help them pick them, donate them to a good cause, a nursery or care home or even just keep them for themselves enjoy the taste of local apples and have them for free. KP: We aren’t doing anything new really, people have been doing this for years – they see their neighbours who have loads of apple trees and ask their neighbour for some, or the neighbour would offer them over the fence. What we are doing is simply publicising this idea that you should talk to their neighbours. Obviously people want their privacy, so if you see an apple tree in someone’s garden you could maybe leave a leaflet, or maybe chat to them. Really up to the landowner what they want – if they are fed up with all their rotting apples they will give them to you for free. Otherwise if you want to join a working party to go out and pick apples or pears or other edibles in the locality get in contact with us and we’ll put you on the list and if we go somewhere we’ll inform you. DM: Is it actually a map or is this the name of a project? KP: There is a map. If you go to the website (http://www.southendintransition.org.uk/) there is a post about the fruit map, with a link to the map. The map is searchable, and if you look at the map you can see more or less where the trees are. You will find that the public trees are easily accessible, but with the private ones we don’t give the exact address – just the general area that there are apple trees because we want to preserve people’s privacy. Really it is to inspire people. We were inspired a year ago to start this map when we learnt in London that a similar project, that had run for two years, got so overwhelmed (they had tons and tons of fruit, in one place fruit up to the ceiling), that they started producing their own juices and selling them at farmers markets, making jams and preserves, and running festivals and workshops around using local fruit and preserving it. And we thought Southend is the just the same – people here are enthusiastic about food, this area was a big orchard once so we thought we can easily do this here. DM: I just think this is the most wonderful idea. How are you going to take it forward? Have you got many people involved in it yet? KP: Basically there is a core of people who are interested in collecting the information and putting it on the web and there are also those people who have said ‘I have got this apple tree or pear tree come around next year or we’ll get in contact with you’, so we are in contact with these people. We also want to hear from people who are interested in joining our working parties, so if someone calls us and says “I’m really overwhelmed can you help me?”, then we can get in contact with that person and go out and help them gather the fruit. It is all on a voluntary basis, and really the idea is to publicise this so we can get more fruit shared. And if we really see this working, and we get loads of produce, we might be looking at a more professional project. We have access to a pulping machines and presses for example so we could start thinking about selling local food and donating money to charity or helping a local charity out. 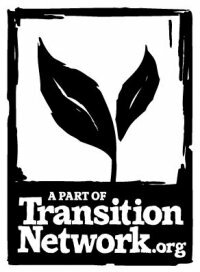 KP: http://www.southendintransition.org.uk/ But even if you Google ‘Southend in Transition’ it should come up easily, and on the site just type ‘fruit map’ in the search field and it will be there. DM: How many blackberry and apple pies have you had so far this year? KP: There were about 3 or 4 blackberry pies involved…but I just came back this weekend from an amazing apple tree with around 30 or 40 kilograms of apples in my backpack, so I’m still working through them! I think this might have been one of the old fruit trees left over from the old orchard times – so it’s a part of Southend’s history and Essex’s history when you pick the fruit! DM: I bet you are ever so healthy as well aren’t you? KP: I’m getting there with the fruit! DM: Kamil thank you very much indeed. Kamil there from Southend in Transition. What a great idea – we should have this all over Essex shouldn’t we? Dave Monk’s show is on BBC Essex at 9.00am weekdays, and show are available on the iplayer up to 7 days after broadcast. Click here to visit the site.